Trying to cover your Houston window arches? Arches are the most common window covering nightmares, so let Houston Blinds For Less take care of the stresses for you! We custom cut all arched window coverings to fit your window arch perfectly, and have a wide variety of solutions that can be mounted inside or outside. With custom paint options available to make the finished product look clean and complete, our window arches are a great addition to plantation shutters. At Houston Blinds For Less, we offer a selection of arched window coverings for those hard to reach arches in your home or office. You can custom design your own arches, making them operable or non-operable. Stylish operable arches feature removable panels and allow you to let in as much light as you want to. A honeycomb shade moveable arch covering is easy to raise and lower. It also provides great insulation. Finding arched window coverings to match shades below or elsewhere in the room is easy. If you are buying new window coverings and have an arch in the room, now is the time to also select your arched window covering. Some of the leading window covering manufacturers such as Hunter Douglas and Bali offer matching window shades for traditional windows and those with an arch. 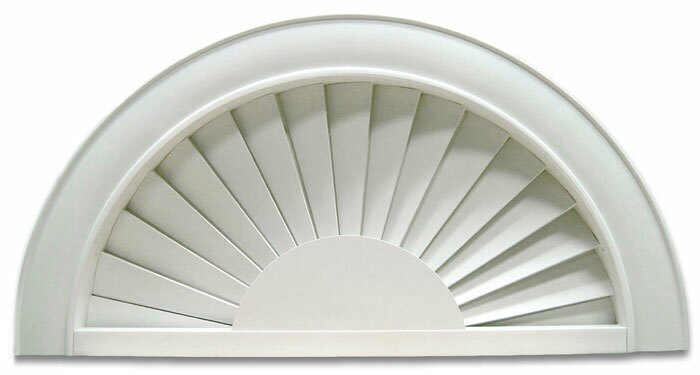 Choose your arched window coverings at Houston Blinds For Less from multiple finishes, textures, colors, and material options as well as different arch shapes. We even offer blackout arched window coverings and solar screens for arches. From rich cellular fabric arches to wood and faux wood, your window arches can take on a whole new look. Contact Houston Blinds For Less to discover how you can cover your Houston window arches and improve your home or office.